These amazing young men refused to allow their past to dictate their futures. Ten years ago, if someone were to tell me that I would become a successful entrepreneur before the age of 30, I would have probably said that they were crazy. After all, my background was hardly what you would expect to hear from a successful entrepreneur. In fact, my childhood was a challenging one. I moved from one family member to another since I was five. I only gained some sense of stability in high school when I was placed in foster care during my sophomore year. By that time, I found myself questioning authority and had difficulty following instructions. Thankfully, serendipity came in 2010 when I met with the director of the UNCG Entrepreneurship program. When I heard her story and learned it is possible to build a thriving business on something that you are passionate about, I knew that was exactly what I wanted. This is why I love reading about the stories of successful entrepreneurs, especially the stories of black startup founders. My favorites are those rags-to-riches success stories: black entrepreneurs who overcame their past to rise to entrepreneurial success. At the age of 17, Everette Taylor became one of the 564,708 homeless people in the US. While many would hide the fact that they had once been homeless, Taylor points to this short period of his life as one of the most pivotal, and proudly shares. In an interview with Inc Magazine, he points back to how his experience of living in his car and being homeless gave him a whole new perspective on life. It was also during his time when he was homeless that he formed an intense and relentless mindset, as well as developed a high level of emotional intelligence. He shared with the folks here at Blavity that these are essential traits when founding a startup. You need to be mentally prepared to deal with the challenges and sacrifices. At the same time, you also need to know when to step back and allow others to help you out. A decade since he became homeless, Taylor is now a serial entrepreneur, having built four startups. One of which is GrowthHackers — a software company and online community with over 2 million global users. Currently, he is the Chief of Marketing at Skurt, a mobile app that lets you rent a car and have it delivered to you where you are. Taylor is also one of the speakers at the upcoming AfroTech conference, hosted by Blavity. Christopher Gray's rags-to-riches story is one that I can relate to. As a high school junior raised by a single mom growing up in Birmingham, Alabama, Gray knew that he only had two options to get to college: get a student loan or try winning a scholarship. Gray refused to be one of the 71 percent of college students in America that graduate with an enormous amount of debt, so despite having limited access to a computer, Gray meticulously searched online for seven long months for scholarship programs that would pay his way through college. His perseverance paid off. He was awarded a total of $1.3 million worth of scholarships from different organizations, that include the Bill and Melinda Gates Foundation and the Coca-Cola Scholars Foundation. So, not only was he able to fund his degree in Finance and Entrepreneurship at Drexel University, but also his living expenses. His quest to find an alternative way to fund his college education opened his eyes to how difficult it is for students to find scholarships, even with the help of the Internet. Together with two other scholars, Gray founded Scholly — a mobile app that provides a fast and easy way to find scholarships to help fund their college education. In addition to sparking the biggest fight in Shark Tank history, and landing a deal with Shark Tank’s Daymond John and Lori Greiner, Scholly became the #1 overall app in both the App Store and Google Play. To date, over $70 million worth of scholarships have been awarded to hundreds of thousands of college students, thanks to Scholly. Gray himself was recognized as Ernst and Young's Entrepreneur of the Year in 2015, named as Forbes' 30 Under 30 in 2016 and is an active advocate to make college education more affordable for students in the country. When Frederick Hutson was arrested for drug trafficking back in 2005, his future looked bleak. According to the United States Sentencing Commission, 49.3 percent of those that get arrested for federal offenses become repeat offenders. Of those, 11.5 percent are because of drug trafficking. Hutson refused to become another statistic. 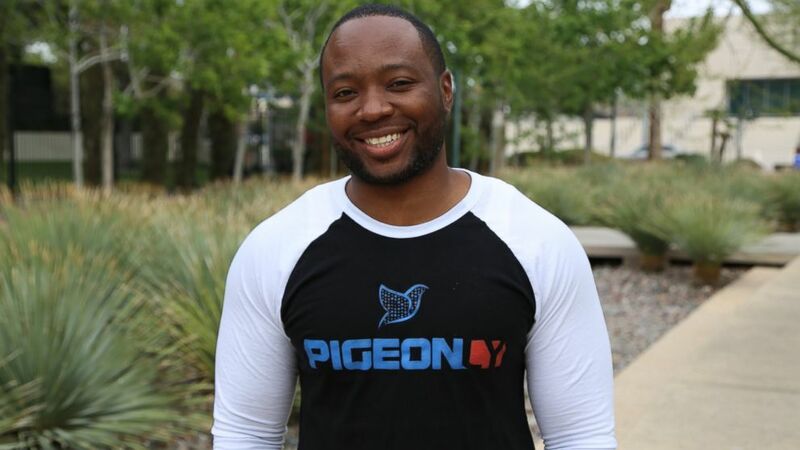 Instead of using his time in federal prison as an excuse to grow bitter and continue on the dark path, he used this as the source of inspiration to launch Pigeonly, a platform that provides a host of services to keep communication lines between inmates and their families open. Like most people, Hutson was first apprehensive to talk about his brush with the law. After all, who would want to partner with someone who had spent some time in prison? The tech startup industry is already a tough place for a black person with a clean record to catch a break. Eventually, Hutson realized that because of the fact he experienced the pain and frustration of the inefficient communication system used in prisons, he was the perfect man for the job. Five years after launching Pigeonly, the platform is now one of the largest independent inmate service providers in the country. It caters to inmates and their families across 88 different countries worldwide. Hutson believes that entrepreneurs have the opportunity to shape the future. He definitely shaped his for the better, and now serves as a shining example that people can still have a bright and brilliant future even after prison. In the US, 3 out of 1,000 children are born with some form of hearing problem. Rodney Williams is one of them. Born completely deaf in one ear and partially deaf in another, Williams could not speak until he was four years old. Moreover, as in the case with people born with some disability, he experienced his fair share of getting picked on and being bullied by the other kids. However, as he pointed out in his interview with Chris Denson (beginning at 31:57), he could choose to either grow up with a chip on his shoulder or work with it. He chose the latter, and it was “a good recipe” that prepared him for success. Today, Williams is the founder and CEO of LISNR, which (surprisingly) uses ultrasonic audio signals called Smart Tones™ to transfer data between devices and people. 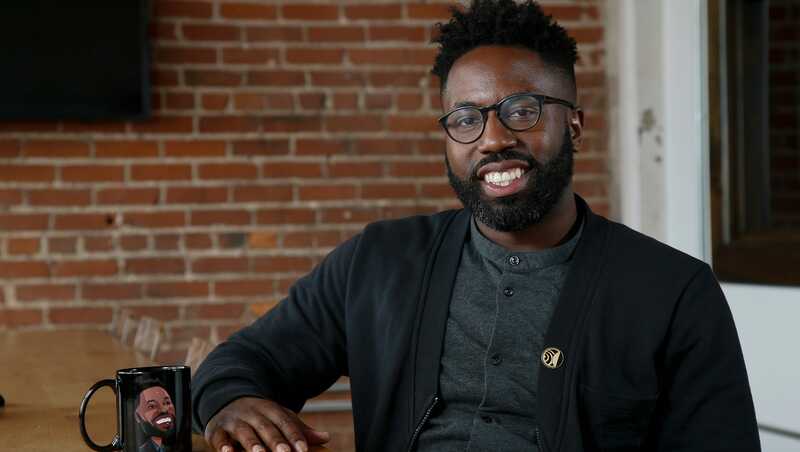 His ability to build such a successful tech startup has earned him several awards and recognition, including Jet Magazine’s 40 Under 40 and Black Enterprises Techpreneur of 2016. Recently, he was appointed as the newest member of the Board of Trustees of the University of Cincinnati. So wherever you come from or whatever you do not have, don't let it be a hindrance to realizing your potential. Take your cue from the stories of these black founders (including my own). Who knows? You may be the next big story everyone will be writing about.